Florida isn’t a great place for rock climbing. But that doesn’t stop Ronnie Dickson. Nor does his prosthetic leg. In fact, Ronnie is a climber who both makes prosthetics for other amputees and competes in rock climbing competitions throughout the world. He lost his leg to Trevor’s Disease when he was 17, took up rock climbing at age 19 and then took second place at the IFSC World Paraclimbing Championships in Gijon, Spain in 2014. 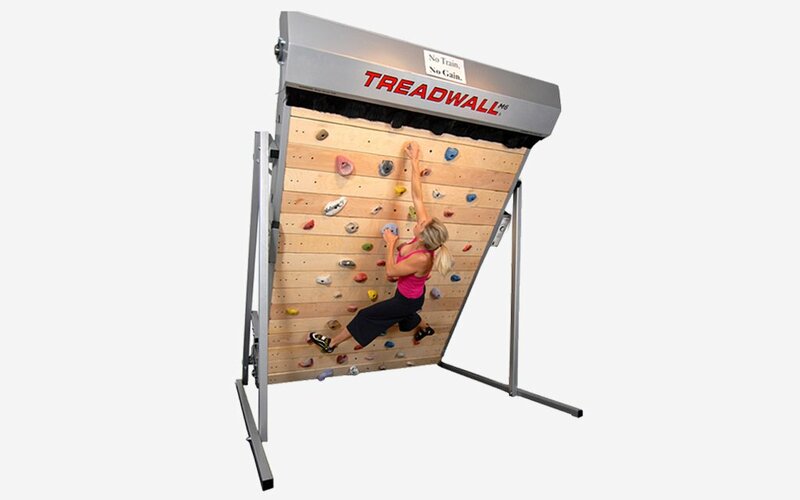 He stays fit using the Treadwall Kore by Brewer Fitness, a systematic training machine that uses a continuous track (think of a tank wheel) with 280 possible hold positions. 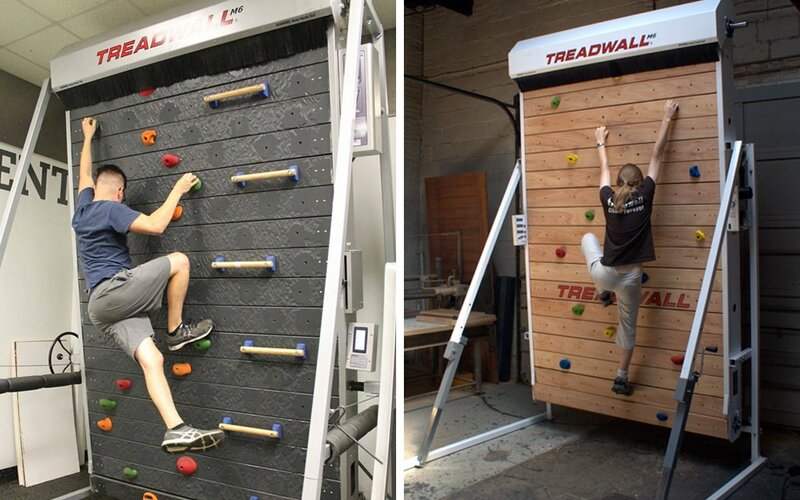 The wood-plank face offers 20 feet by six feet of climbing surface and the ability to change the angle to about negative 35 degrees — so if you’re thinking of grabbing your own, better buy a landing mat, too. By repositioning the holds Ronnie uses the Kore to even train for megaroutes of 75 feet, augmenting the angle as he goes. At 1,050 pounds, it’s heavy, and as you can probably guess, it’s not cheap (you’ll have to inquire about a quote). But if you live in a cold place or somewhere like Florida, it makes practicing much easier. Head on over to Brewer Fitness for more details.